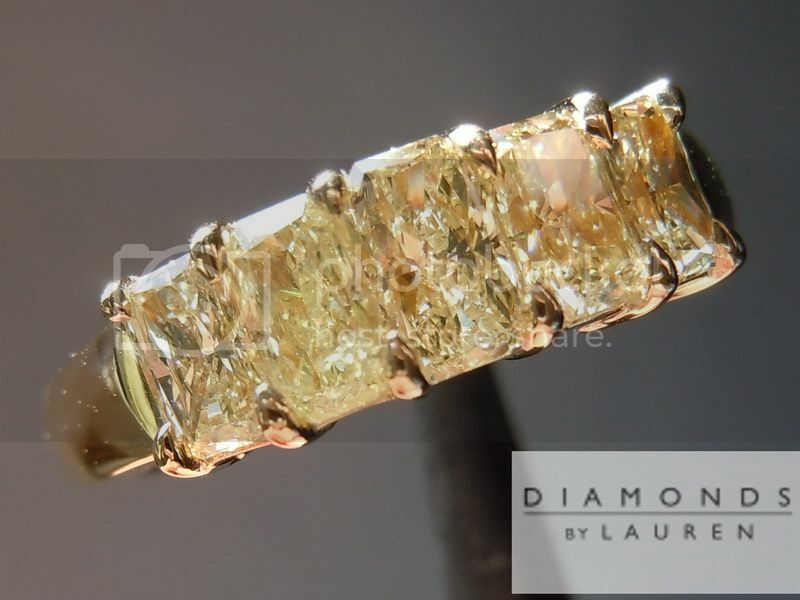 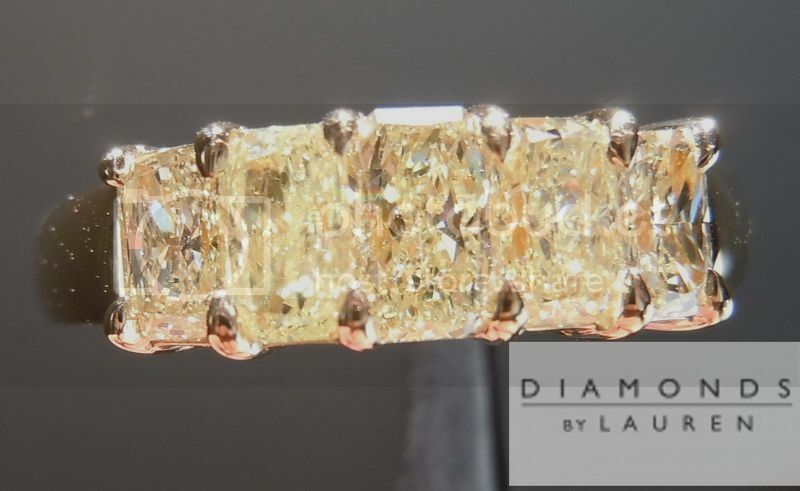 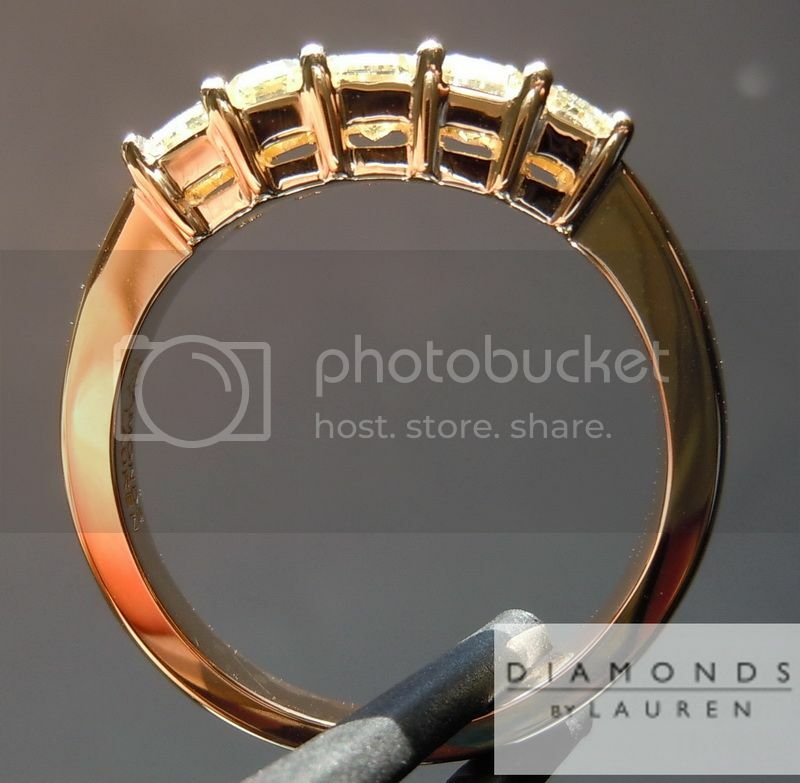 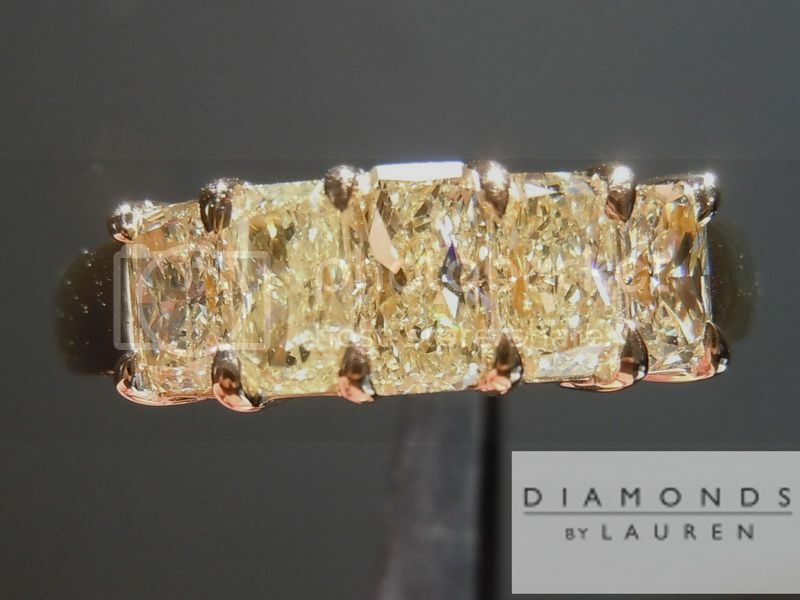 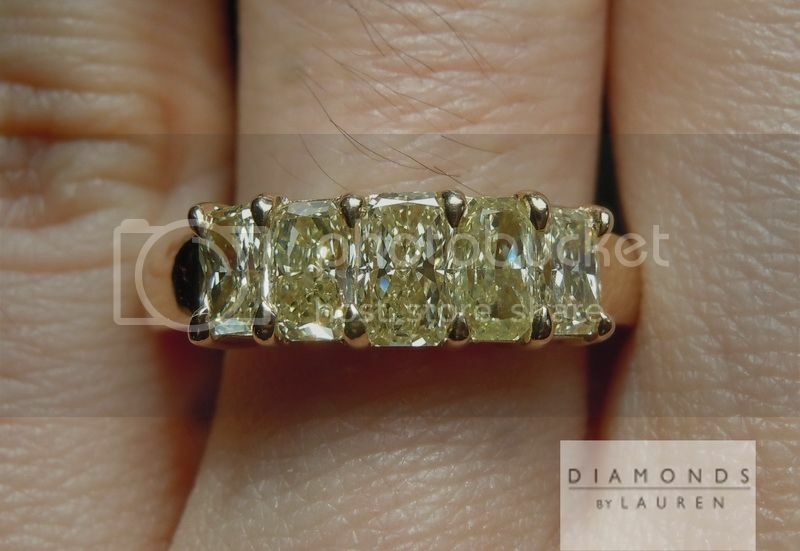 This is a ring made possible due to the large parcel of light yellow diamonds we recently purchased. 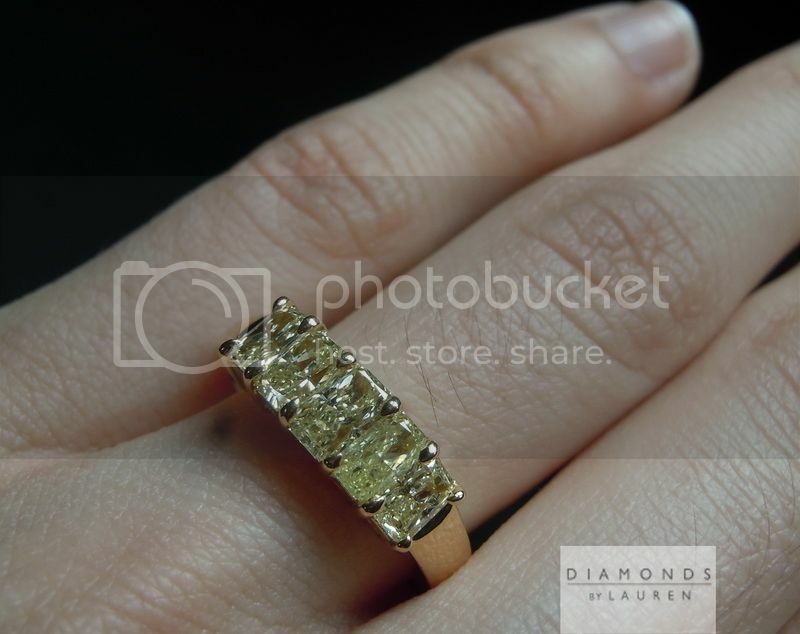 They allowed me to paint with a varied brush, as it were. 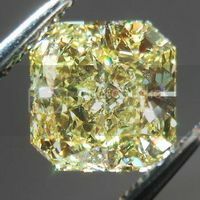 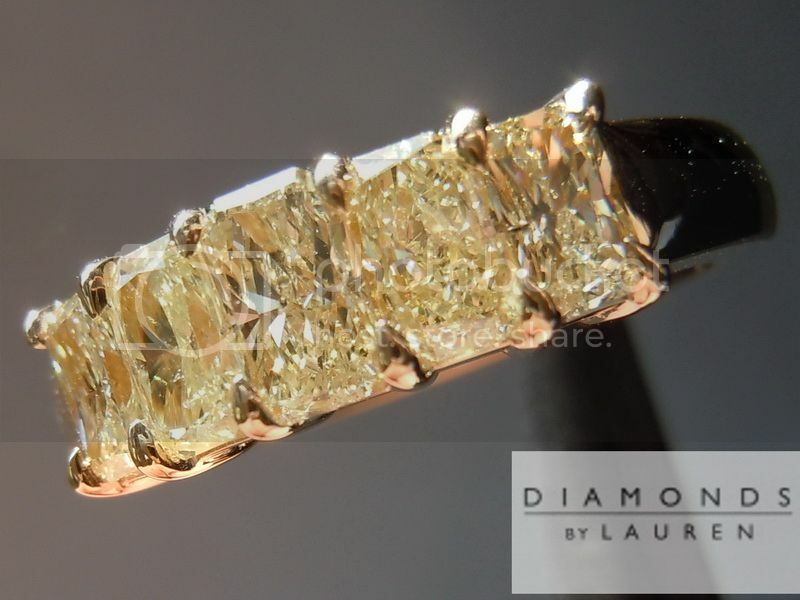 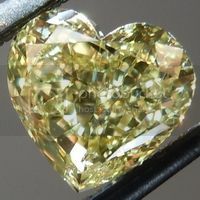 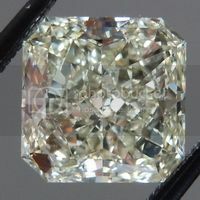 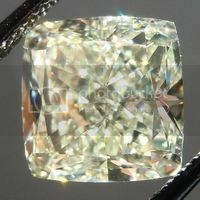 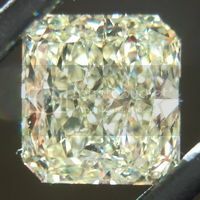 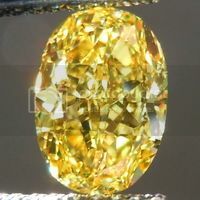 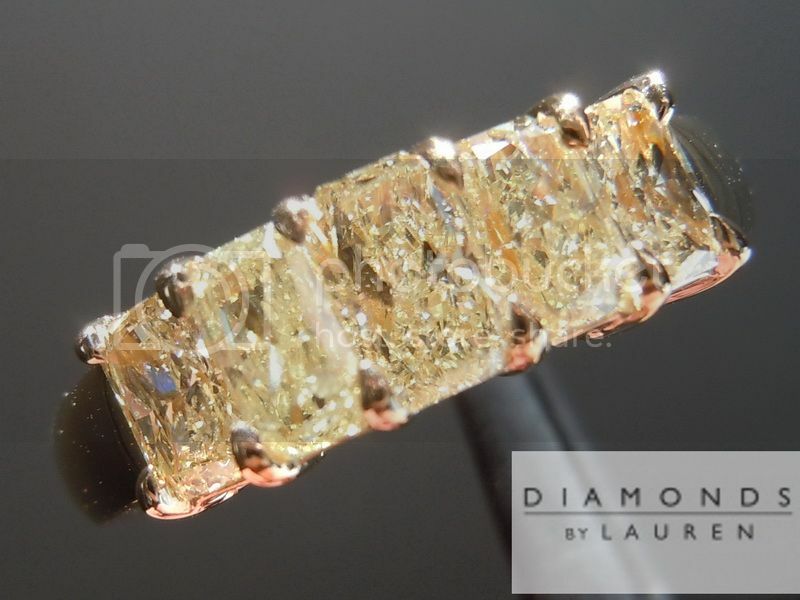 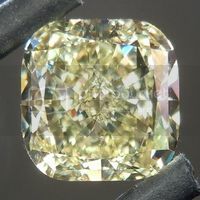 In this case I was able to select five "tall" rectangular radiant cut yellow diamonds - but there is a graduation to them. 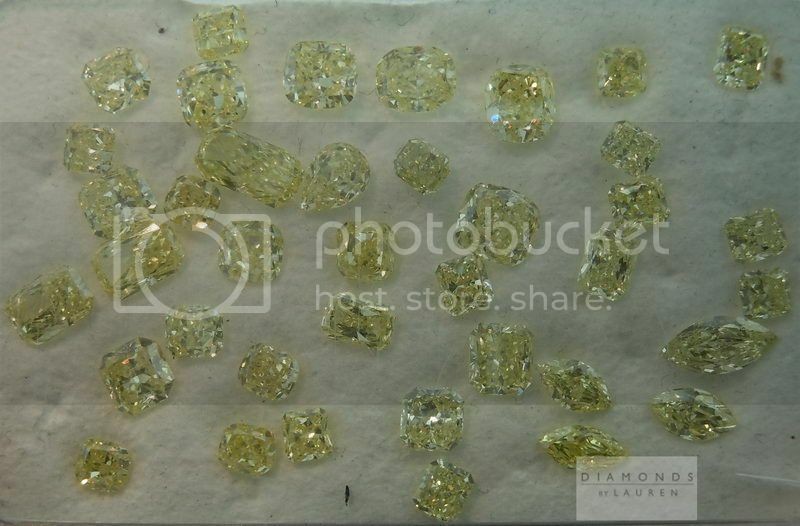 They are relatively similar in color - you can see the tall stones sprinkled throughout in the photo below. 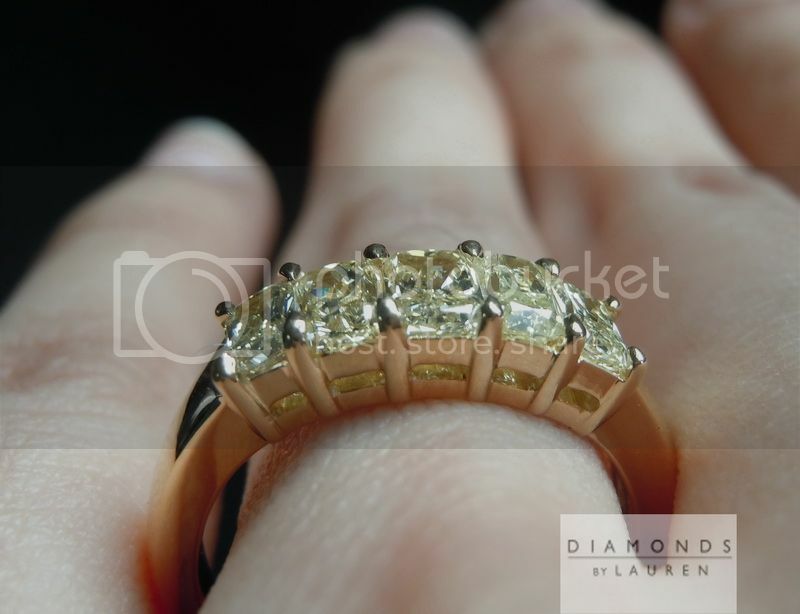 Most amazing - the factory was able to emphasize the slight graduation visually, yet still managed to use common prongs. 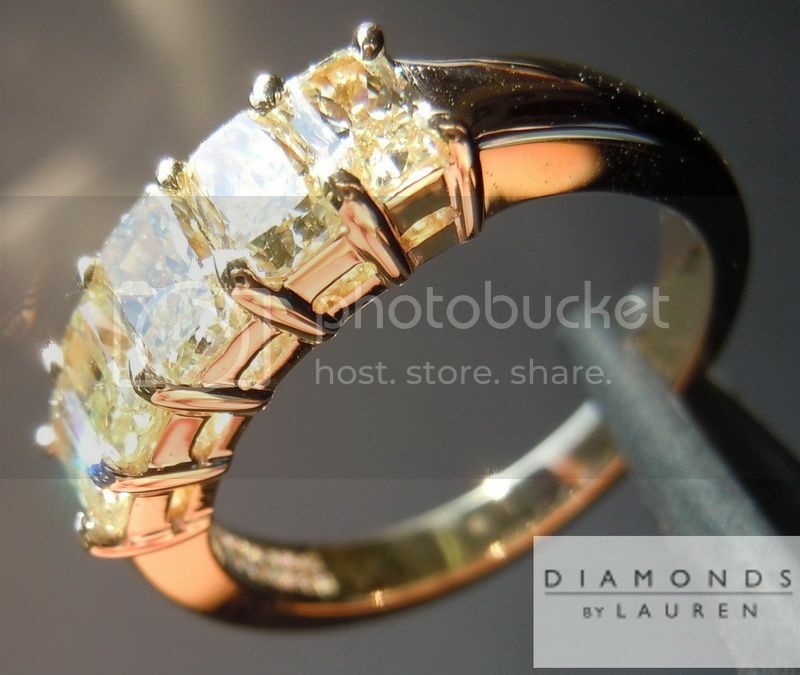 Truly a one of a kind ring. 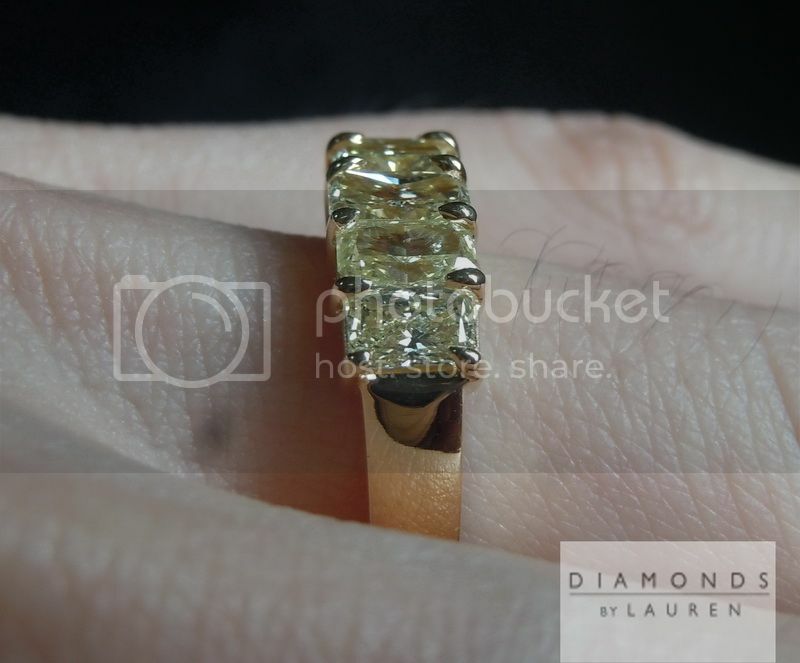 We chose all 18karat yellow gold for these stones.